Well, this will not rival the finales of “The Sopranos” or “Friends”, but we decided we would wrap up a wonderful year of cruising with some thoughts and review. First, our past several weeks in the Sea of Cortez have been marvelously relaxing. The anchorages are close together and stunning. The air temperature is hot during the day and the water is finally comfortable and still refreshing so it has been a delight to jump in and cool off a couple times/day. 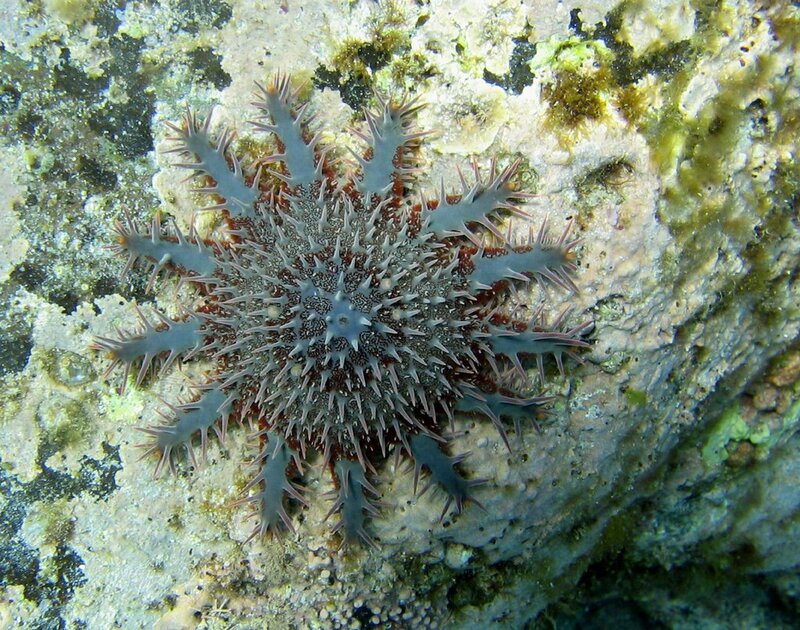 The snorkel visibility has remained generally good--we have some underwater pictures to prove it--and the jellyfish that sometimes plague the Sea of Cortez have been mercifully absent. We have joined the social scene with lots of other cruisers and it has been a blast although we still some times retreat for a night alone. Our “final” passage of the season was an overnight from near Santa Rosalia on the Baja side to San Carlos on the mainland side, a crossing of 75 miles. We left at 10 PM on a full moon night, motored for the first few hours, then picked up the most marvelous beam reach wind of 10-15 knots to sail through the night and morning hours. We arrived at 1 PM just exhilarated by a perfect final passage. 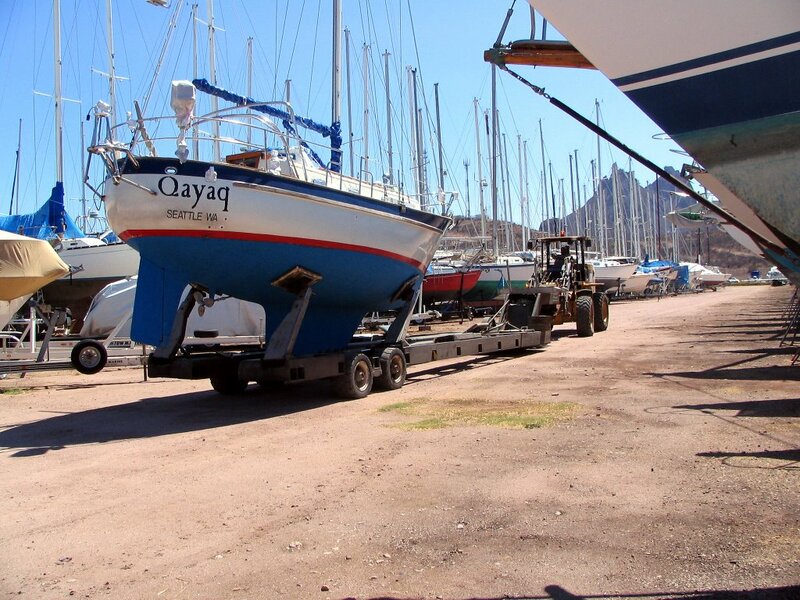 We are now preparing the boat to stay in a boatyard for 3 or 4 months. The climate here is much more humid than on the Baja side and reminds us daily that leaving Mexico for a few months is a darn good idea. We awaken around 5:30 to 6 to do work outside on the boat while the day is still cool-ish. We do a couple projects per day then spend much of the rest of the day hiding in front of fans trying to stay even slightly comfortable. The community of cruisers here is large and supportive and many other boaters are doing the same thing we are; we are particularly jealous of those that have air conditioning to make the boat more comfortable in this climate. To prepare the boat, we clean the inside, sort through all the food stores and donate any perishables to an orphanage. We have to shut down the boat systems—put preservative in the watermaker, lubricate all the various gaskets, run fresh water through the head, empty the water tanks, run fresh water through the engine. We remove all sails and their lines and put them down below out of the UV damage and potential winds (this is hurricane season after all). All the other canvas is removed, washed and stowed away dry. So many other little things need to be done that they are hard to list, but, suffice to say, both taking the boat apart and putting her back together are labor intensive. Because we are leaving the boat for a few months, we have become nostalgic and taken some time to think of the year in review. We left Seattle initially on June 30, 2005 and will have our boat hauled into dry storage here in San Carlos, Mexico on June 22, 2006. Between those dates we have traveled around 3600 sea miles. Our longest passage was 6 days with several 2 and 3 day passages (perhaps a dozen at least overnight). The highest winds we have seen so far have been around 37 knots. The lowest temperature we know of was 46 degrees one morning in La Paz and temperatures have climbed into the 90’s and low 100’s and, now that we are on the mainland side again, the humidity is high. The highest in-cabin boat temperature we have recorded in the past week was 102 degrees! We dragged anchor once (a first in our boating career). The only major mishap to the boat just occurred here in San Carlos during the haul out. The boat was not balanced on the trailer correctly and slid back into the water slamming into the trailer on the way. We now are missing some fiberglass on the keel that will need to be repaired in the fall. Hopefully there is no other damage but we plan to have the boat inspected by a marine surveyor. We have met at least 100 other cruising boats and certainly heard the names of a couple dozen others and made lots of new friends. We have come to love Mexico. The country has so much to offer in terms of beautiful sites to see, fascinating native and cultural history, great food and marvelous, loving, humor-filled people. We have visited many areas in Mexico over the years prior to this and added to our experiences in this year. We have matured as sailors and as a couple running a boat together. Thanks to our Alaska travels, we had hundreds of anchoring experiences to draw on, but here we have added to our repertoire anchoring on sand and in windier conditions. We can now reef, unreef and change sails practically in our sleep. We have had the fun on several occasions of putting up our spinnaker and stimulating other boats around us to do the same, sometimes for the first time in a long time—we enjoy that role because we enjoy spinnaker sailing so much. We compared notes and the highlights of the trip for both of us include sailing in under the Golden Gate bridge after a thankfully more benign than expected passage down the Washington and Oregon coast. We both loved Morro Bay and Monterey in California. 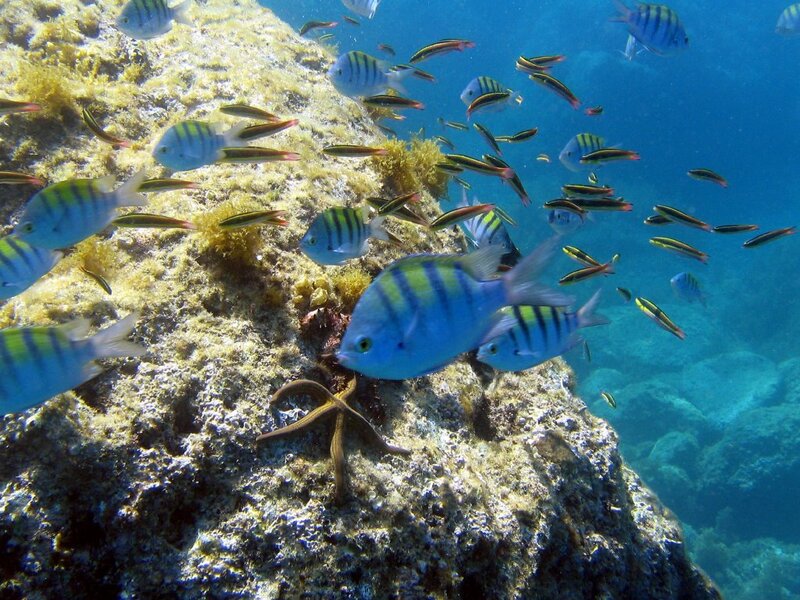 Our sail down the Baja coast was wonderful—some truly fantastic sailing. By far our favorite spot was Isla Isabella en route between Mazatlan and Puerto Vallarta and 45 miles offshore where we had our most fantastic snorkeling and incredible bird watching. I think we’ve made it clear that we enjoy La Paz as a city although Mazatlan was a close second. The Sea of Cortez has been an utter playground—beautiful anchorages within a day sail of each other, water warm enough to swim and snorkel, fantastic beach walks and shell collecting, beautiful hikes and great company. Now the first year is drawing to a close and we will return to the Pacific NW for some work, to visit friends and stock up on essentials that are unavailable in Mexico (when will Trader Joe’s open their first store here?...) We are so grateful for the opportunity to enjoy this adventure and the nerve to take it on. We have appreciated the support from our friends and family who we know think we are crazy or self-indulgent or both to be doing this. When we will return to Mexico in late October or early November, we will launch the boat and travel south down the Sea of Cortez to La Paz. Then we will cross the Sea to Mazatlan and head to Puerto Vallarta area for the Christmas season. After that we intend to continue south through Central America to the Galapagos and the South Pacific with a possible stop in Ecuador. We’ve also begun to discuss crossing the Pacific from Puerto Vallarta and skipping Central America. A cruiser’s plans are cast in jello as the saying goes. Hasta luego!